Researchers are working collaboratively with national and international organisations and institutions on a range of projects, spanning (but not limited to) genetic diversity in captive Amur leopards, development of keeper-animal interactions and relationships in captive rhinos, personality profiling in reintroduced species such as Telfair’s skink and arid land foxes, and gastrointestinal health in captive tigers and cheetahs. Cheetahs are declining dramatically across their already shrunken natural range. 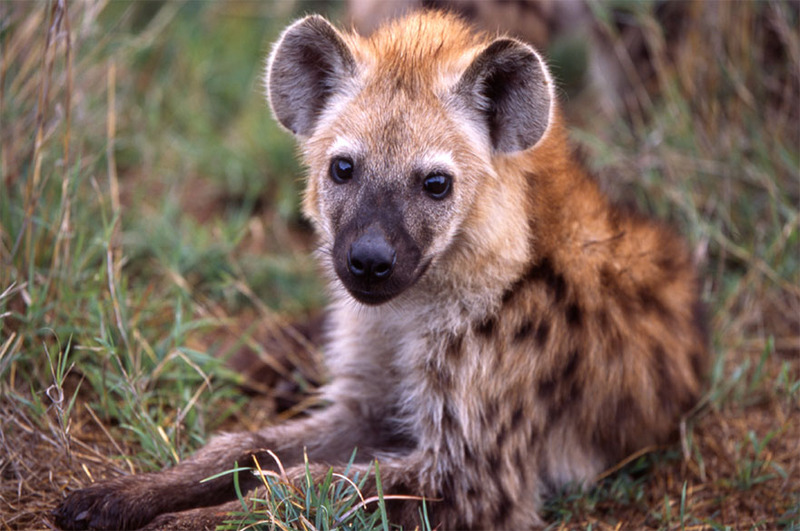 Threats from habitat loss and persecution in human-wildlife conflict areas are among the main causes for this decline. Captive breeding programmes have been established in an attempt to provide ex-situ conservation support, but these programmes are not yet self-sustaining and the successful reintroduction of cheetahs from captive bred stock is a long way off. A major concern facing the ex-situ population of cheetahs is gastrointestinal disease, which affects the majority of the North American population, and over half of the European population. These diseases, especially gastritis, are rare, if at all present, in free-ranging cheetah populations. Therefore, environmental and/or management factors are likely responsible for the high incidence of this disease. Dr. Whitehouse-Tedd has been collaborating with scientists around the world in an effort to better understand the role of diet in the health and welfare of captive cheetahs. Specifically, the research team have been investigating the influence of ‘animal fibre’ on gut function, health, and welfare. The work has culminated in recent updates and revisions to regional zoo association feeding guidelines, whereby evidence generated by Dr Whitehouse-Tedd and her colleagues is being used to inform best practice. In collaboration with colleagues in Europe and North America, Dr Whitehouse-Tedd’s research has been incorporated into the EAZA Best Practice Guidelines, and the SSP Animal Care Manual nutrition chapters in their latest updated versions (2017). Findings from Dr Whitehouse-Tedd’s recent epidemiological survey of captive cheetah diet and gastrointestinal health, along with those of her PhD student’s work (Dr. Depauw) were integral to the revised feeding guidelines. 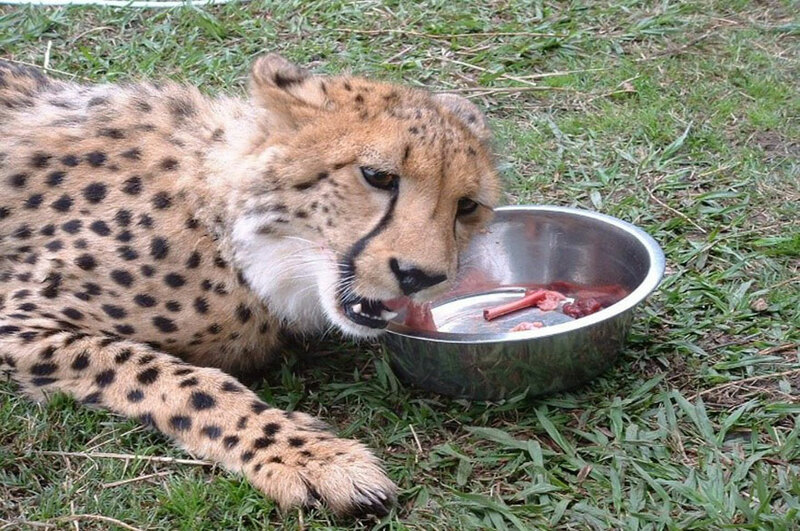 Recommendations to increase the use of carcass components when feeding captive cheetahs were based on empirical and epidemiological evidence advocating the beneficial role of whole prey and/or skeletal components in reducing gastrointestinal disease. For example, feeding whole rabbits was shown to reduce the production of detrimental putrefactive factors, compared to when cheetahs were fed supplemented beef (Depauw et al., 2013). Stool consistency was also improved and inflammatory biomarkers were reduced (Depauw et al., 2013; 2014), but long-term feeding of single prey items was not supported due to the potential overdose of vitamin A provided by the daily inclusion of liver (Depauw et al., 2012). Dr Whitehouse-Tedd was also the invited lead author on a chapter in the prestigious “Biodiversity of the World: Conservation from Genes to Landscapes” series, in which our current understanding of the nutritional considerations for captive cheetahs was reviewed. 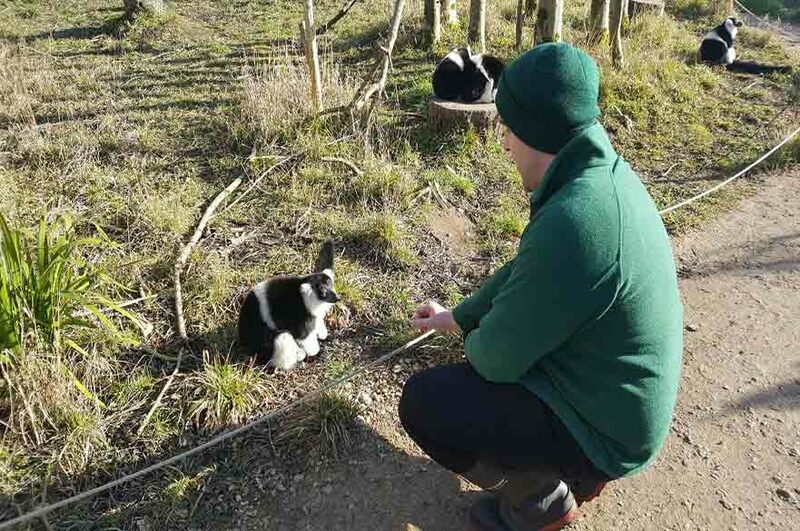 Dr Ward’s research on human-animal relationships (HAR) between zoo keepers and the animals they work with has made a significant impact on zoo welfare science and research. Ward & Melfi (2013) initially discovered that there were specific relationships between some keepers and some animals, and that these were different according to the dyad involved. Ward & Melfi (2015) then went on to discover that it was the animals involved that were shaping and deciding upon these interactions and relationships and that they could have huge implications for zoo animal welfare. Dr Ward’s research has been picked up and utilised around the world with reference to the implications that HARs can have, and how they can be utilised to benefit the lives of zoo animals in captivity. This new area of research has already established that keepers are likely to be the singlemost significant contributor to zoo animal welfare relative to all other endo- and exogenous stimuli (Carlstead, 2016) and has been stated as one of the most significant areas of recent research in zoo welfare science (Meehan et al., 2016). From this, Dr Ward has been invited to co-author a book chapter on human-animal relationships and been invited to the WAZA global Zoo Animal Welfare Symposium to discuss advances in applied zoo animal welfare science with zoo directors worldwide. Dr Ward’s continuing research in this area is discovering a new understanding of HARs in zoos and new research is investigating what animal and human characteristics are involved in the formation of HARs, what the effect of HARs have on the animals own social interactions and appropriate methods to measure HARs in zoos amongst other areas.